TORONTO, ONTARIO--(Marketwired - April 29, 2015) - Khan Resources Inc. ("Khan" or the "Company") (CSE:KRI) provides this third update in response to media reports concerning the possible intentions of the Government of Mongolia in respect of the recent arbitration award in Khan's favour, in particular a possible intent to seek its annulment. The Company is not aware of any grounds that would justify the annulment of the award and believes that there would be a minimal chance of success for such an initiative. The award was rendered by a Tribunal consisting of three experienced and well-respected arbitrators, namely Dr. Bernard Hanotiau, the Honourable L. Yves Fortier, and Professor David A. R. Williams QC (as the Presiding Arbitrator). Khan will vigorously contest any such move and would not alter any strategy for enforcement of the award while such annulment process is in progress. Khan has consistently sought an amicable solution to the full recognition of its rights under the binding results of the arbitration. This remains a preferred course of action. Khan will, in the next ten days, be in a position to publish the full text of the March 2, 2015 arbitration award and the July 25, 2012 decision on jurisdiction, an important step to add clarity and transparency to this issue. Mr. Grant Edey, President and CEO of Khan, commented, "The Government of Mongolia's apparent intention of trying to set aside the award shows a desperate and short-sighted approach to settlement. Surveys have shown that there is a high degree of compliance with international arbitration awards and that states and state enterprises regularly comply voluntarily with arbitral awards. It is of course the Mongolian Government's decision as to whether they want to respect the rule of law and honour the Award, or join the small group of recalcitrant sovereigns who make attempts to avoid their international obligations." On March 2, 2015 the international arbitration tribunal rendered the Award to Khan as compensation for the Government of Mongolia's illegal actions in relation to the cancellation and expropriation of Khan's uranium licenses in 2009. The award consisted of a Base Amount of US$80 million plus interest at LIBOR +2% (compounded annually) from July 1, 2009 to the time of payment. In addition, the Tribunal awarded costs of US$9.1 million in favour of Khan. As of April 23, the award aggregates to approximately US$104 million. Interest is currently accruing at a rate of 2.546% or US$6,485 per day. HONG KONG, CHINA--(Marketwired - April 29, 2015) - SouthGobi Resources Ltd. (TSX:SGQ)(HKSE:1878) ("SouthGobi" or the "Company") announced on March 28, 2015, that the court hearing for the Company's appeal against the verdict issued by the Second District Criminal Court of Justice ("Tax Verdict") took place on March 25, 2015 at the 10th Appeal Court for Criminal Case of Mongolia and the panel of three appointed judges decided to uphold the Tax Verdict and dismissed the appeal by the Company. The Company has firmly and consistently rejected the Tax Verdict and subsequently the Appeal Verdict which it believes were both reached on the basis of the same erroneous and false reports. The Company reiterates that there is a complete lack of evidence to support the two verdicts. As a consequence, the Company filed on April 24, 2015 an appeal ("Appeal") against the Appeal Verdict with the Supreme Court of Mongolia ("Supreme Court"). In accordance with Mongolia's criminal procedure law, the Company filed the Appeal through the Second District Criminal Court of Justice. On April 29, 2015, the Company was informed that the Second District Criminal Court of Justice had refused the Appeal citing that the Company, as a civil defendant, does not have the right to file an appeal with the Supreme Court. The Company firmly rejects and challenges the legal grounds for the action by the Second District Criminal Court of Justice. The Company believes the Court has exceeded its authority in refusing the appeal. The Company is of the view that only the Supreme Court itself has the authority to decide on the question of admissibility of the Appeal. On April 29, 2015, the Company sent a letter and has filed an official protest with the Second District Criminal Court of Justice against their decision. Pending a written response from the Court, the Company will continue to defend itself through all available legal means. Should the Company be successful in its challenge of the action by the Second District Criminal Court of Justice, the Appeal will be reviewed by the Supreme Court of Mongolia itself. If the Supreme Court of Mongolia upon reviewing the Appeal upholds the decision of the lower courts, then the Company will have the right to file a complaint with the Chief Justice within 30 days from the date it receives the written judgment of the Supreme Court seeking a review of its case by the full bench of the Supreme Court. The Tax Penalty would only be payable after a final appeal. The consequences for the Company of the Tax Verdict, the Appeal Verdict and the Company's challenge against the Second District Criminal Court of Justice are uncertain. If the Company's efforts to have the Appeal heard by the Supreme Court are unsuccessful, or the Tax Verdict is not reversed on final appeal, or if the amount of the Tax Penalty is not reduced upon exhaustion of the foregoing appeal process, the Company may not be able to pay the Tax Penalty or the final assessed amount, which could result in voluntary or involuntary insolvency proceedings involving the Company. For further information see the Risk Factor entitled "If the Company is unsuccessful in appealing the Tax Verdict it will likely not have sufficient cash resources to satisfy the penalty imposed thereunder" in the Management's Discussion and Analysis of Financial Condition and Results of Operations for the year ended December 31, 2014 as available on www.sedar.com. The Company reiterates that it has not committed tax evasion, and is resolute in continuing to defend itself through all available legal means. April 30 -- This announcement is made by Mongolia Energy Corporation Limited (HKEx:276, the "Company", together with its subsidiaries, the "Group") pursuant to Rule 13.09 (2) of the Rules Governing the Listing of Securities on The Stock Exchange of Hong Kong Limited (the "Listing Rules") and the Inside Information Provisions under Part XIVA of the Securities and Futures Ordinance (Chapter 571 of the Laws of Hong Kong). Our mining operations have been affected by the unfavorable market conditions and the continuous decline in price of coking coal in the People's Republic of China. Low coking coal price has a negative impact on the scale of our production. As part of our austerity measures, we have planned to scale down our overburden removal and other mining works for the time being. Pursuant to this, on 30 April 2015, we requested our overburden removal contractor to temporarily suspend its works. We will then discuss the scaling down of works or other alternatives with the overburden removal contractor for the purpose of lowering our operating costs. Notwithstanding the temporary suspension of the overburden removal works, coal extraction mining will not be affected for the time being. We will continue to extract and supply coking coal to our customer in Xinjiang. The measures taken are intended to preserve our cash position to ensure we have sufficient working capital for our business in the ordinary course. The Company will continue to review its coal operations in the prevailing economic climate. Further announcement will be made when necessary and in compliance with the requirements of the Listing Rules. Shareholders and potential investors are advised to exercise caution when dealing in the shares of the Company. PERTH, April 29 (miningweekly.com) – Junior coal developer Aspire Mining is hoping to raise up to A$6-million through in a share placement to fund the exploration of the Nuurstei and Ovoot coking coal projects, and to negotiate a rail agreement in Mongolia. The company said on Wednesday that the share placement was aimed at raising a minimum of A$2.75-million and a maximum of A$6-million, with Aspire receiving firm commitments totalling A$2.1-million from each of its directors to participate in the capital raise. Existing shareholders would be invited to participate in the capital raise through a A$2-million priority allocation pool, with each shareholder entitled to subscribe for A$15 000 in new shares. The shares will be priced at 2c each, representing a 4.7% discount to the company's closing price on April 24, and every two shares would come with one attaching option, exercisable at 3c each, with a two-year term. Aspire MD David Paull said on Wednesday that the company was encouraged by the substantial pre-commitment in place, prior to the start of the capital raise. Funds raised would also go towards debt servicing and general working capital, Paull said. The Mongolian government recently approved a new national rail policy, which included the extension of a rail from Erdenet to Aspire's Ovoot coking coal project, and on to the Russian border at Arts Suuri. The new rail line was considered an important connection between Russia, Mongolia, and through the Trans-Mongolian Railway, to China. The $144-million Ovoot project would have an initial production of five-million tonnes a year, with first production targeted for 2017. A placement of 300,000,000 Shares at an issue price of $0.02 per Share, together with an attaching Option for every two Shares subscribed for, to raise up to $6,000,000, with the ability to accept Oversubscriptions of up to 50,000,000 Shares to raise an additional $1,000,000 (Placement) (Offer). The Placement shall include a $2,000,000 Priority Allocation pool to Eligible Shareholders with each Eligible Shareholder having a priority entitlement of $15,000 (subject to scale back) (Priority Allocation) (the Placement and the Priority Allocation together the Offer). The Offer is conditional upon Shareholders approving, at the General Meeting to be held on Tuesday 2 June 2015, the issue of the Shares and Options offered by this Prospectus. Please refer to section 5 of this Prospectus for further details. • Exploration Target established for Nuurstei Coking Coal Project licence following successful 2014 exploration programme. • Nuurstei exploration plan for 2015 to focus on maiden JORC resource and core quality testwork to support development decision. • New Mongolian exploration licences applied for by both ECJV and Aspire. • Aspire acquires a 12 month option to purchase Noble's 50% interest in ECJV for US$1m in cash and a royalty. • ECJV now has option to go to 90% of the promising Nuurstei Coking Coal Project. • Noble's US$5m loan with Aspire extended for 12 months. • Prospectus to be issued on 29 April seeks to raise a minimum $2.75m with a maximum of $6m including priority allocation of $2m for existing shareholders. Pricing is at 2c per share and for every two new shares purchased in the offer, the investor will receive one two year option exercisable at 3 c per share. • Noble to receive 79 m two year options at 3 cents with the same terms as other option holders. • Funds raised will be used toward an exploration programme at Nuurstei, field work at Ovoot, technical studies, debt interest and general working capital. • Northern Railways has now provided all 547km of 1:5,000 scale mapping to China Railways 20 Bureau Group Corp for initial rail design work. • Erdenet – Ovoot Railway Concession now designated for a direct negotiation with the Mongolian Government. · The current Resources occupy only a small portion of the much larger mineralised Kharmagtai Intrusive Complex (KIC) which was first identified from surface outcrops and already partly extended under shallow cover using geophysics and drill testing. · Drilling to target an increase in the Maiden Resource Estimate. · Approximately 2000m of exploration drilling recently completed at Oyut Ulaan with full results and analysis to be finalised in the first week of May. · New appointments are an important step for Xanadu as the Company focuses on its Mongolian copper-gold strategy and continued exploration success. · Xanadu was nominated for both "Exploration Deal of the Year" and "Discovery of the Year" at the annual Mines and Money Conference in Hong Kong in March. Toronto, Ontario, April 30 (FSCwire) - / Mongolia Growth Group Ltd. (YAK – TSXV and MNGGF – USA), ("MGG") or ("the Company") a commercial real estate investment and development company participating in the dynamic growth of the Mongolian economy announces the release of its March 2015 Shareholder Letter. In March 2015, MGG's core commercial property portfolio* experienced a same-store rental increase of 10.8% relative to March 2014 on properties owned 12 months or longer, as measured in local currency (Mongolian Togrog). Total billed revenue for March 2015 was 277.5 million Mongolian Togrog, as compared to 267.4 million Mongolian Togrog in March of 2014 or a 3.8% increase. ** The occupancy rate for the core portfolio in March of 2015 was 95.6% including an occupancy rate of 96.7% for core retail properties and an occupancy rate of 94.1% for core office properties***. Over the past few months we have continued to make progress on multiple fronts with the development of Stage 2 of our flagship Tuguldur Shopping Center. In order to be in a position to proceed with this project as soon as funding becomes available, we have successfully initiated some of the preliminary work associated with it. As part of obtaining statutory approvals, we recently received the Project Planning Approval from the Masterplanning Agency of Ulaanbaatar City which allowed us to move the project into its Masterplanning and Design phase. With this approval in place, we have recently signed a Stage 2 design contract with a well-respected international design practice aiming to complete the Architectural Concept Design by mid-June 2015 and Architectural Detailed Design by early September. A subsequent contract to provide the project with structural and MEP design was signed with one of the Mongolian design firms who will also be providing our international designer with local design content. We look forward to updating you again on our progress and new developments in the Mongolian economy next month. April 29 -- Guildford Coal Limited (Guildford or the Company) (ASX: GUF) has announced today that its Chairman, Mr Craig Ransley, has resigned from the board of the Company, effective immediately. This follows the successful transition of Guildford from explorer to miner in Mongolia. The Honourable Craig Wallace, a serving Director of the Company, will be Acting Chairman until the next board meeting. Mr Wallace paid tribute to Craig Ransley's unstinting efforts to secure Guildford's long-term future in the face of many challenges: "Mr Ransley was heavily involved in the push to ramp-up production at the South Gobi's Baruun Noyon Uul (BNU) coal mine via Guildford's wholly owned subsidiary, Terra Energy Limited." "Following a successful trial shipment of coal in August 2014, offtake agreements were negotiated with Baotou Iron & Steel (Group) Co Ltd and Jiuquan Iron & Steel (Group) Co Ltd," Mr Wallace said. The first commercial coal shipment milestone was completed in February 2015. Mr Ransley was persuaded by key shareholders and financiers to return to the Guildford board in the role of Interim Chairman in 2014, to provide strong leadership to the Company during this transitional period. The move provided the impetus for major financiers to supply critical financial backing for the Company. While Interim Chairman, Mr Ransley also made a commitment to undertake a comprehensive review of the Company's board, management team and operations. As a result, a strategic review was completed in February 2015 and is now being implemented with the full support of Company directors. Mr Wallace stated Craig Ransley was a crucial player, working closely with senior management to successfully negotiate Guildford's recent rights issue. This raised A$6.6m which will further assist the development of the BNU mine. Mr Ransley said he was delighted that the Company is now in a sound position to develop its Mongolian assets, which offer tremendous potential for growing shareholder value. "Guildford, although not reflected through its share price and resulting market capitalization, has achieved what none of it peers have: to locate, explore, develop and construct a producing coal mine. I am confident that over time the Guildford board and team will continue their fantastic track record in markets where excellence is rewarded. I am proud to have been the founder of the Company, and the continuing ethos prevails: mine the resource, not the stock market." "As a shareholder, I am committed to supporting Guildford in any way possible as it continues its growth as an independent coal miner under the strong leadership of founding MD, Michael Avery," Mr Ransley concluded. The BNU coking coal mine ramp-up is progressing well, having recently reached an important safety milestone of 1 Million man-hours Lost Time Incident free. Solid progress was made with branding of the BNU coking coal in northern China. A total of four customers received commercial quantities of coal for evaluation and/or use in their coke oven blends. All end users have recognised the value of the low ash, low sulfur and premium coking properties of the BNU coal, positioning our coal in the premium price range for coking coals in the region. Long term offtake discussions have been progressing positively with key customers and are nearing completion with only finer details to be agreed before finalisation of the contracts. On February 17, 2015, Sino Construction Ltd lodged on the ASX a Notice of Status of Conditions and a Supplementary Bidder's Statement which advised that it had decided not to waive the breach of condition triggered by Guildford undertaking the Entitlement Offer. The Takeover Offer subsequently lapsed on February 25, 2015. The Company was successful in negotiating a deferral of debt payments due to its financial backers: Noble Group and Orchard Capital Partners. During the period a Renounceable Rights Issue successfully raised A$6.6m during the quarter with underwriting by Auspicious Future Ventures and Maiora. April 29 -- Haranga Resources Limited (ASX:HAR, "the Company") is pleased to report on its activities for the March 2015 Quarter. During the Quarter the Company successfully completed a fully underwritten nonrenounceable rights issue of 1 new share for every 3.26 shares held, at an issue price of $0.018 per share ("Rights Issue"). The Rights Issued closed on 12 January 2015 with the Company receiving valid acceptances for 33,815,943 shares with a shortfall balance of 46,429,883 shares. The Rights Issue was fully underwritten by Golden Rain Holdings Limited who placed the shortfall. On completion of the Rights Issue, the total funds raised was approximately $1,444,424 before costs. During the Quarter the Company received the metallurgical test work results in relation to the Selenge Iron Ore Project ("the Project"). The metallurgical test was completed at the ALS Iron Ore Technical Centre ("ALS")* in Wangara, Western Australia. Details of the test work carried out was detailed in the Company's ASX announcement 'Metallurgist Test Results' released on 21 January 2015. A total of 400.1 kg of samples including 196.9 kg of samples representing Bayantsogt deposit and 203.2 kg of samples representing Dundbulag deposit, were prepared and delivered to ALS for testing. The metallurgical test results demonstrated a magnetite concentrate of marketable specification with high iron grade and low impurities suitable for Chinese steel producers. The Company continues to assess the results of this metallurgical test program in order to generate a nominal and design flow-sheets for engineering purposes of a potential beneficiation plant at the Project site. On 15 January 2015 Mr. Jack James and Mr. Stephen Lo were appointed as Non-Executive Directors of the Company with Mr. Daniel Crennan resigning on this date. On 3 February 2015 Mr. Michael Riady was appointed as a Non‐Executive Director of the Company with Mr. Stephen Lo resigning on this date. April 30 -- Wolf Petroleum Limited (ASX:WOF, "Wolf" or "the Company") is pleased to provide an update on its activities for the March quarter. Wolf Petroleum is continuing its discussions to farm out its 100% owned SB block with a short list of four potential strategic partners. The technical due diligence work by these potential strategic partners has been completed and the Company is actively negotiating farm out terms. Timing on closing a farm out deal is uncertain and has been effected by the fall in global oil prices in the past six months. The Company's 100% owned SB block provides an opportunity for potential strategic partners to drill a targets with an estimated 460 million to 2.2 billion barrels of oil in resources. During the quarter the Company implemented a round of cash saving and cost cutting measures in order to reduce costs and enhance operational efficiencies. These measures include relocating the Company's Mongo­lian office to smaller, lower cost premises, thereby reducing costs by more than 50% and a continuation of the "freeze" on all payments to the Board of Directors since December 2013. The Company considers that the continued service of its Board for no remuneration for an extended period of time is a vote of confidence in the Company and its assets. · Cash balance of $2 million at the end of the quarter. VANCOUVER, BRITISH COLUMBIA--(Marketwired - April 30, 2015) - Kincora Copper Limited (the "Company", "Kincora") (TSX VENTURE:KCC) is pleased to provide a review of 2014 and initial developments to date for 2015 in conjunction with its December 31st, 2014 year-end financial results. The Company's audited Consolidated Financial Statements, and, Management's Discussion and Analysis (MD&A), have been filed with SEDAR and are available on the Company website with an updated corporate presentation: http://kincoracopper.com/investors/corporate-presentation. · As with previous field seasons, activities in 2014 returned extensive copper mineralization at various targets on the Bronze Fox license that warrant further exploration without yet defining mineralization that could be considered economic. · Second last hole returned favourable gold mineralization in a new zone (Sophie North). · Drilling and camp costs, coupled with a positive foreign exchange translation and a continued focus for minimizing cash expenditures, resulted in actual costs coming in significantly under budget with no notable health or safety incidents. · A number of targets remain open and prospective for both copper and gold throughout the Bronze Fox license with further systematic surface exploration expected in 2015. · Final resolution of two-year dispute that significantly impeded Kincora's exploration efforts, corporate discussions and strategy achieved last month, March 2015. · Previously $6.95 million impaired from balance sheet, with minimal share price recognition post resolution, with revoked licenses returned as new with full 12-year term (previously year 5 of 9). · No below surface exploration around disputed ground since 2012, where previous activities returned the most favourable exploration results in the wider district with over 800 metres returned at over 0.40% copper equivalent, including 37 meters at over 1% copper equivalent (and led to various confidentially agreements with industry participants). · During the one year of unimpeded activities, nine of the 15 holes drilled in the Western license returned intervals of at least 1g/t gold, up to 7.7g/t, often with elevated copper. · Experienced team boosted with board changes, new corporate service providers and appointment of Cameron McRae to advisory board. · Team incentivized and aligned with shareholders, with ~19% insider shareholding (ex major shareholder) and staged option strike structure for key personal. · During calendar year 2014, it is estimated that over 75% of cash expenditure (ex capital raising costs) was spent on exploration, versus a peer group of less than 50%. · Continued initiatives to reduce non value-add cash burn. · Significant legislative change, and continued focus, for improving private sector activities and investor sentiment towards Mongolia. · Within the last 10 months the mining sector has benefit from: an amended and broadly positive Minerals Law; extended term for exploration licenses (globally competitive); resolution of the 106-license dispute; and, lifting of the 5-year moratorium for new exploration licenses. · Positive recent indications from senior Government members regarding potential advancement of Oyu Tolgoi Stage 2 development, without resolution of the ongoing two-year dispute. · Kincora completed an oversubscribed $5 million raising in 2014 and had a net cash balance of $1.86 million at period end with no cash debt1. · Six groups account for 67% of issued shares and fundamentals-driven institutional and High Net Worth investment, unique for most juniors. · Base case field season activities for the 2015 field season remain funded to refine targets. · Following the resolution of our disputed licenses only in the last month, Kincora has regained unimpeded control of its corporate strategy and is actively seeking potential options to enhance shareholder value. TORONTO, ON--(Marketwired - April 30, 2015) - To view Management's Discussion and Analysis and the Unaudited Interim Consolidated Financial Statements and Notes for the three-months ended March 31, 2015, please visit the following link: http://media3.marketwire.com/docs/CG2015MDAFS.pdf. Centerra Gold Inc. (TSX: CG) today reported net earnings of $40.7 million or $0.17 per common share (basic) in the first quarter of 2015, compared to net earnings of $2.1 million or $0.01 per common share (basic) for the same period in 2014. The increase in earnings reflects a 53% increase in gold ounces sold, partially offset by lower average realized gold price1, currency movements and higher share-based compensation charges in 2015. · Produced 170,683 ounces of gold in the first quarter, including 164,272 ounces at Kumtor and 6,411 ounces at Boroo. · All-in sustaining costs per ounce sold1 for the first quarter of $718, excluding revenue-based tax in the Kyrgyz Republic and income tax. · All-in costs per ounce sold1, which excludes revenue-based tax in the Kyrgyz Republic and income tax, were $799 for the first quarter. · The Gatsuurt Project in Mongolia was designated as a mineral deposit of strategic importance by the Mongolian Parliament. · Completed forming a 50/50 partnership for the joint ownership, exploration and development of Premier Gold's Trans-Canada Property including the Hardrock Gold Project located in the Geraldton-Beardmore Greenstone Belt in northwestern Ontario. · Filed an updated Technical Report and new life-of-mine plan for Kumtor. · The Company announced on January 23, 2015 that the Gatsuurt Project, which is located approximately 55 km (by road) from the Company's Boroo mine in Mongolia, has been designated as a mineral deposit of strategic importance by the Mongolian Parliament. This designation allows the Gatsuurt Project to proceed in compliance with the Water and Forest Law and also allows Mongolia to acquire up to a 34% interest in the project. On February 17, 2015, the Government's proposal on state ownership of 20% was considered by Parliament but rejected and returned to the Government for review. On February 18, 2015, amendments to the Mongolian Minerals Law were approved by Parliament which provides an option for the Government to impose a special royalty at a rate up to 5% for strategic deposits rather than take an ownership interest in the project. The terms of such participation are subject to continued discussions between the Company and the Mongolian Government. Further development of the Gatsuurt Project is expected to be subject to, among other things, receiving Parliamentary approval of the Mongolia's state ownership or special royalty charge as well as the all required approvals and regulatory commissioning from the Mongolian Government. 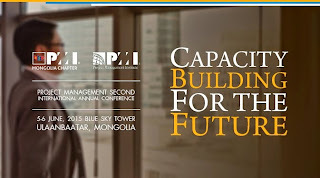 See "Other Corporate Developments - Mongolia". April 30 -- During the three months to 31 March, 2015, Perth-based Viking Mines Ltd (Viking or the Company) activity was restricted to progressing the mining lease approvals process for Berkh Uul and discussions with interested parties in the Company's Ghanaian gold projects. No on-ground work was undertaken during the quarter due to the winter field recess in Mongolia. The Mongolian Government has been in the process of reviewing and amending the Law on Prohibiting Mineral Exploration and Extraction Near Water Sources, Protected Areas and Forests (commonly referred to as the "Long Name Law"). Following recent announcements, including a Government Resolution that licence areas in headwater zones and river basins are to be annexed and revoked, the Company has been advised by the Ministry of Tourism, Green Development and Environment that approximately 53% of the Berkh Uul prospecting licence falls within a headwaters of rivers zone. This government determination may impact upon the Company's current coal resource and Viking has been invited to commence discussions on this matter with the Mineral Resource Authority of Mongolia (MRAM). Notwithstanding the above, the Company will continue its engagement of Mongolian specialist consultants to progress the Berkh Uul mining lease application process. No field work was undertaken during the quarter. However several prospective project funding partners, and/or purchasers of the project, made site visits to assess the project's production potential. Discussions with various groups regarding either selling or funding the project continue. No field activity was undertaken on any other Company project areas during the quarter. The Company's interest in the Buduun 1 and Buduun 2 properties in Mongolia were relinquished during the quarter following a technical review. A number of Mongolian located project farm-in opportunities were considered during the quarter. None are currently at an advanced stage of consideration. Viking will continue to pursue these and any other opportunities, which are complementary to its existing project portfolio. Following the completion of a strategic review of the Ghanaian gold projects last quarter, a number of parties have expressed interest in acquiring these assets. Confidential access to Viking's detailed project data has been arranged for these parties, and discussions are ongoing. • Secured an option to acquire 51% of a Molybdenum-Copper deposit in Mongolia, the Zuun Mod Deposit. The agreement contains a further option to acquire the remaining 49% stake, which would raise ownership to 100% under agreed terms. • Started a drilling program in March 2015 that will extend into the June 2015 quarter. • Raised $1,620,000 via the issue of 9,000,000 ordinary shares at $0.18 each, with an attached warrant expiring 16th February 2016 and with a strike price of $0.20. 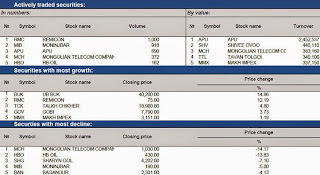 April 29 (MSE) As of 62 securities companies of the MSE membership list, there are 44 companies eligible to participate in trading and the remaining 18 companies' trading rights has been restricted due to failed to comply with its obligations under the agreement. Click here to view the turnover of MSE member companies. · The pressure from Mongolia's fiscal and current account deficits is growing and it is unlikely to subside without swift corrective policies. 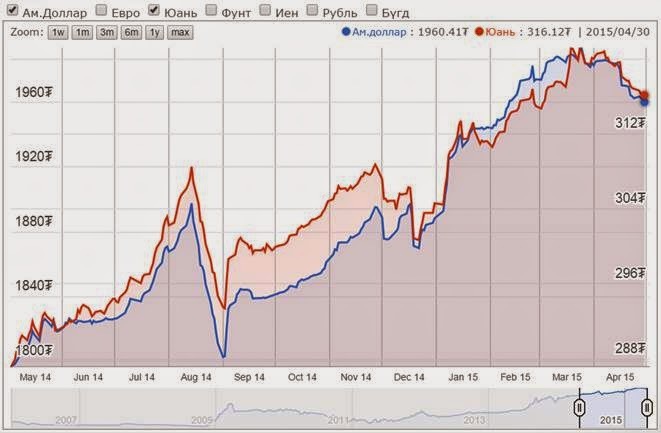 · We are revising our rating outlook on Mongolia to negative from stable. · At the same time, we are affirming our 'B+' long-term and 'B' short-term sovereign credit ratings. · The negative outlook indicates that we could lower our ratings on the government this year or early next year if the grand coalition's recent policy measures do not correct the country's external and fiscal imbalances. On April 30, 2015, Standard & Poor's Ratings Services revised its rating outlook on Mongolia to negative from stable. At the same time, we affirmed our 'B+' long-term and 'B' short-term sovereign credit ratings on Mongolia. We also affirmed our 'B+' issue rating on the country's senior unsecured notes. Our 'BB-' transfer and convertibility (T&C) assessment on Mongolia is unchanged. We revised our rating outlook to negative from stable to reflect growing pressure on the rating from Mongolia's twin deficits in its budget and current account. The pressure is unlikely to abate without swift corrective actions. Our sovereign ratings on Mongolia balance the country's strong long-term growth prospects, moderate government debt burden, and monetary flexibility inherent with a flexible exchange rate, against the high current account and fiscal deficits and developing institutions. We believe the Mongolian government's Comprehensive Macroeconomic Adjustment Plan (CMAP), enacted in February 2015, will improve the business environment, deepen relations with key trading partners, and help finalize the negotiations with Rio Tinto on the second phase of the mega copper-gold mine Oyu Tolgoi (OT). The CMAP was enacted after the opposition Mongolia People's Party (MPP) joined the governing Democratic Party (DP) to form a grand coalition in November 2014. However, implementation risks remain and prior administrations have not established a record of consistent policies promoting foreign direct investment. Mongolia's external position is weak, making policy implementation all the more important. After running current account deficits of over 25% of GDP for three consecutive years from 2011 to 2013, Mongolia's 2014 current account deficit fell to a still-high 8.5% of GDP. We expect the deficit to remain roughly at this level through 2016. As a result of Mongolia's high current account deficit, we project its external debt net of public and financial sector external assets to rise to 147% of current account receipts at the end of 2015, from 11% at the end of 2010. We also estimate its gross external financing needs will climb to 134% of the sum of current account receipts plus usable reserves at the end of 2015 from 102% at end 2010, and its net external liabilities will jump to 376% of current account receipts from 45% over the same period. We estimate that usable reserves will fall to two months of current account payments this year. This deterioration partly reflects an ambitious externally funded investment program in extractive industries and recent adverse terms of trade. We also expect the external position of Mongolia's financial institutions to weaken to a debtor position of 20% of current account receipts at the end of 2015 from a largely balanced position in 2010. We believe the government will take steps to assist systemically important banks in rolling over their external debt. In addition, we assume that multilateral and regional bilateral lenders will swiftly provide Mongolia with official loans for balance-of-payment support if necessary. Mongolia's developing economy, with a US$4,000 GDP per capita, presents the government with a narrow revenue base. Although per capita economic growth in Mongolia will likely be much weaker over 2015-2017 compared with its double-digit growth in 2011-2013, we expect its medium-term growth of GDP per capita to be just under 6%. Mongolia's strong growth potential offsets some of the weaknesses in its sovereign creditworthiness. The Mongolian government's fiscal flexibility is a rating constraint. Although the government is including off-budget spending through Development Bank of Mongolia (DBM) in the budget after it recently amended its Fiscal Stability Law, we believe the government still has a tendency to incur some off-budget spending and undertake additional guarantees over the next three years. Accordingly, we project the average yearly increase in general government debt to be about 4.7% of GDP over 2015-2017, despite the possibility of the government drawing down some of its bank deposits to finance its fiscal deficit. The government's fiscal flexibility is further constrained by its significant reliance on the volatile mining sector for revenue and the need to address notable shortfall in basic services and infrastructure. The country's general government debt (inclusive of government-guaranteed DBM debt) poses a moderate but rising risk to the sovereign creditworthiness. We estimate the net general government debt at about 49% of GDP at the end of 2014, and it is likely to be little changed over the next three years. The government's interest expense may rise to 12% of revenue over 2015-2017 due to its higher debt stock, greater reliance on high-cost domestic borrowing, and weaker revenue growth compared with 2012-2014. However, greater reliance on domestic commercial borrowing lowers the refinancing risk associated with foreign investors. We believe the contingent liabilities of the government are limited, as our criteria define the term, largely due to the small size of Mongolia's financial sector. That said, we classify Mongolia's banking sector in group '9' under our Bank Industry and Country Risk Assessment (with '1' being the strongest assessment and '10' the weakest), mainly due to the system's weaknesses in regulatory framework, rapid credit growth in the past several years, volatile property prices, and external vulnerability. Mongolia's monetary policy puts economic growth ahead of keeping inflation low, in our view, which limits the country's monetary flexibility to attenuate economic or financial shocks. The parliament can effectively define monetary policy, indicating the central bank's lack of independence. Inflation in 2014 exceeded the central bank's target of 8%. If we assume the central bank continues to maintain positive real interest rate, we expect Mongolia's inflation to recede to high single digits over the next three years. The tugrik has appreciated over 60% in real effective terms since 2000, partly due to the country's high inflation compared with its peers'. The negative outlook reflects the possibility that we could lower our rating on Mongolia in the next 12 months if the CMAP does not induce much-needed foreign direct investments, the country's external liquidity continues to weaken, or the government debt burden rises. On the other hand, we may revise our outlook back to stable if the government can realize the substantial mineral wealth of the nation and improve its fiscal and external positions beyond our current expectations. April 30 (Bank of Mongolia) On the Foreign Exchange Auction held on April 30th, 2015 the BOM has not received any bid offers and selling bid offers of USD and CNY from local commercial banks. On March 30th, 2015, The BOM has received USD Swap agreement bid offer in equivalent to USD 31.0 and MNT Swap agreement bid offer of USD 4.0 million from local commercial banks and accepted the offer. April 29 (Bank of Mongolia) Auction for 12 weeks maturity Government Treasury bill was announced at face value of 30.0 billion MNT. Face value of 30.0 billion /out of 53.0 billion bid/ Government Treasury bill was sold at discounted price and with weighted average yield of 14.967%. April 30 (infomongolia.com) The controversial issues whether to develop and accredit investors into the strategically important Tavan Tolgoi's both East and West Blocks located in Umnugovi Aimag have been undergoing since the disagree statement given by the Speaker of the State Great Khural (Parliament) Z.Enkhbold in his opening speech of the Spring Plenary Session held on April 06, 2015. Since then Mongolian authorities despite of political forces and interests have divided in two parts, one claim to ratify shortly in order to put into economic circulation led by Premier and supported by President, and the other side headed by Speaker deems this issue must be reviewed by Parliamentarians and legalized. Consequently, it was agreed to proceed the a draft bill on developing the Tavan Tolgoi project via the Parliament, where Cabinet hosted its irregular meeting and agreed to submit to the Parliament, but Speaker again refused to accept the bill considering that some detailed info are insufficient. However, Speaker and Prime Minister reached consensus to accomplish this issue within two weeks, but as of today it has been beyond the term. Nevertheless, the Speaker Z.Enkhbold issued a Decree to establish a working group on revising the bill before to hear at the Parliament and according to the decision, a working group chaired by MP L.Erdenechimeg was formed on April 29, 2015. The working group members are MP A.Bakei, MP Su.Batbold, MP O.Baasankhuu, MP D.Gankhuyag, MP S.Ganbaatar, MP B.Narankhuu, MP D.Sumiyabazar, MP M.Sonopil and MP B.Choijilsuren accredited by Speaker of the Parliament, who approved the guideline on the same day. The working group will consider whether the bill on Tavan Tolgoi follows regulations issued by the Parliament and an affiliated Standing Committee; whether meets requirements and concepts of the National Security Policies and National Security Council; whether acquires the third neighbor policy of Mongolia; and whether provides national interests on owning 1,072 shares from "Erdenes Tavan Tolgoi" LLC as well as other 14 agendas are included to review and finalize the bill for discussion at the Parliament. 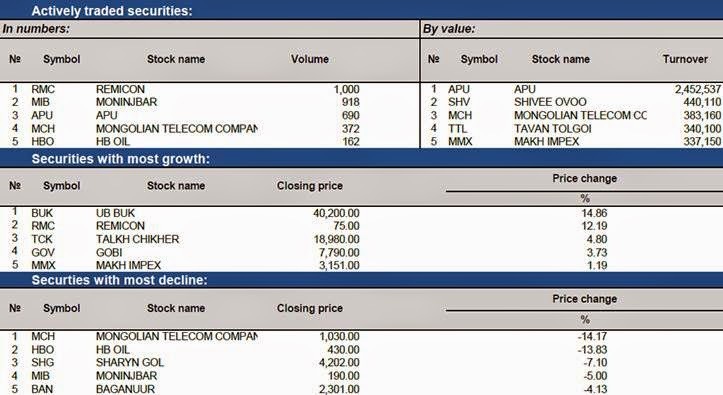 April 29 (Bloomberg) -- Mongolia's ruling Democratic Party recommends Erdenes Tavan Tolgoi LLC retains 51% of Tavan Tolgoi coal deposit, according to statement on party website. April 30 (gogo.mn) MPRP members seated in Parliament made an official announcement. Justice Coalition at the State Great Khural has had a direction to leave the Tavantolgoi in the hands of the Mongolian citizens. But the late developments on this matter and the current agreement have no proof of the previous direction. MPRP Leader N.Enkhbayar was repressed by acting for the rights of inclusion for citizens. The repression is still continues to date. During this period of discussion of Tavantolgoi deal MPRP will stand at our principles. Tavantolgoi deposit should remain under ownership of the Mongolian citizens and every citizen should own a share. Therefore, Tavantolgoi deposit development should be done in accordance with the valid legislation and beneficial for the Mongolian citizens. Agreement draft submitted by the Government does not correspond with the MPRP directions and principles. Therefore, MPRP is against the deal. MPRP calls for the agreement to comply with Mongolian laws and serve the interests of the community. April 29 (GoGo Mongolia) Earlier MP G.Uyanga has announced that former PM S.Bayar owns properties abroad worth of several billion dollars. Therefore, S.Bayar has approached the Independent Agency Against Corruption with request to conduct investigation upon himself. His request reads: "Recently media coverage on possible money laundering through purchase of number of real estates abroad with the sources stating that I, Bayar Sanjaa, have abused my position as Prime Minister and lobbied the approval of the Oyutolgoi Agreement. In matter of these claims I hereby request the Agency to conduct investigations upon me in accordance with the Mongolian legislation." April 30 (news.mn) Today the Mongolian Civil Society held a press conference critical of the high turnover rate of state employees, and said there is an urgent need to resolve this issue as soon as possible. Over the past three years, almost 45,000 civil servants have been dismissed due to shifting political leadership. After the 2008 election, almost 8,000 civil servants were dismissed or transferred to another position. After that, the number of dismissed and transferred state employees increased to 15,000 in 2012, 18,000 in 2013, and 21,000 in 2014. Until now the situation hasn't changed, said member of the Management Council of the Mongolian Civil Society Ya.Erdenesaikhan. From 2012 to 2014, 16,000 state employees resigned after being transferred to other positions. The parliamentary standing committee on application issuance is now reviewing the contested dismissals of up to 30,000 state servants dating from 2012. April 29 (UB Post) Until recently Mongolia has been closed and communist country sandwiched between Russia and China and having diplomatic ties with only other communist states. But in the last few years Mongolia posed itself actively on a global radar strengthening its position in the world. Two years ago Ulaanbaatar, Mongolia has successfully hosted the Community of Democracies conference. Moreover, famous politicians such as Tony Blair and Hilary Clinton have visited our stated several times. The Fifth annual Freedom Online Conference, hosted by the current Freedom Online Coalition (FOC) Chair – Mongolia – is scheduled to take place in Ulaanbaatar on the 4th and 5th of May 2015. By bringing together a diverse group of relevant stakeholders, Freedom Online Conferences offer a unique opportunity to advance discussions on rights and freedoms online in a multistakeholder fashion. Under the Chairmanship of Mongolia, the Conference will explore topics under the umbrella theme: Internet Policy Making – Best Practices for Promoting Online Freedom. The 2015 Freedom Online Conference, hosted by the Government of Mongolia, will focus on discussing ways in which governments around the world, including young democracies and countries in the developing world, can structure their policy making processes and approaches in order to maximize the realization of human rights online within their jurisdiction. Panels and discussions will focus on issues such as rule-of-law, transparency, the Tallinn Agenda (for Freedom Online) implementation, and how to maximize non-governmental stakeholder input and participation in government policy making. Participants of over 60 countries have applied for participation in the international event including the representatives of state and private sectors such as Google, Mozilla and Twitter leaders in social media, moreover over total of 300 participants from the the international organizations, NGOs and research institutions such as UNICEF and UNESCO, Asia Foundation, Amnesty International, Digital Partners Global and Human Rights Watch have confirmed their participation. The conference will start next Monday at the Government Palace with the opening remarks to be addressed by President of Mongolia Ts.Elbegdorj and the Minister of Foreign Affairs L.Purevsuren is to present on Internet Environment in Asian Region and Best Practices. Speaker of State Great Khural Z.Enkhbold will conduct the closing remarks of the two day event. The 2015 Freedom Online Conference, hosted in Asian Region for the first time is co-organized by the Ministry of Foreign Affairs of Mongolia, Information Technology, Post and Telecommunications Agency, National Information Technology Park, Silk Road Foundation and Tsahim Urtoo Union. During the press conference the logo and the stamps published to commemorate this international event has been introduced to the public. April 30 (gogo.mn) Good morning Mr. Foreign Minister. Mongolia is to host the Fifth Freedom on line Coalition's Conference. Could you talk about it if possible? Thank you. Internet is a powerful and useful device in the light of today's exponential development of communication and technology and becomes a need for everyman's day-to-day life. On the other hand, our thoughts and thinking, lifestyle, culture, economy and society as well as international relations are strongly being influenced by the Internet. It brings peoples of afar and near closer regardless, geographic distance and time constraints. This favorable opportunity can be also handy in delivering transparent and prompt public services to community. For instance it is obvious that any individual can run successful businesses via internet using their knowledge and skills without any hindrances. Besides that each and everybody has the level playing opportunity to enjoy the fundamental human rights and freedom on internet such as to obtain information, get education, express opinion, assembling and be accessible and get involved in social life. Although, as we all welcoming every new online development and hasty to personalize it one should not underestimate in some ways its potential adverse effects like hacking, organized crimes swindling and possible threats are becoming notorious in virtual environment nowadays. Of course peaceful living is pivotal; however the rights for free expression, association and assembly should not exclude but complement it. In other words the reliable internet should be a prerequisite for free and accessible internet. Five years aback in December 2011, in the Hague, as initiated by Mr. Uri Rosenthal, Foreign Minister of the Netherland, gathered representatives from 15 countries and discussed the governmental responsibilities and duties on the security of online freedom and formed up the "Freedom Online Coalition (FOC)", which grows into a significant international movement today. How big is the family of FOC today? The movement that aims to promote Internet freedom – free expression, association, assembly, privacy online and support those individuals whose human rights online are violated, consists of Austria, Canada, the Czech Republic, Costa Rica, Estonia, Finland, France, Georgia, Germany, Ghana, Ireland, Japan, Kenya, Latvia, the Republic of Maldives, Mexico, Moldova, Mongolia, the Netherlands, Sweden, Tunisia, the United Kingdom, the United States of America. Since its inception in 2011 in The Hague, the Netherlands, the coalition has grown from 15 to 24 member countries; and is working together within the intergovernmental organizations like UN Human Rights Council, UNESCO, the Organization for Security and Cooperation in Europe (OSCE), and with civil society organizations - Internet Governance Forum, Stockholm Internet Forum and Global Digital Partners and other numerous business organizations are in collaboration. Australia and Norway joined as its members recently so there are 26 countries in this familyhood. Freedom Online Coalition, FOC, hosts numerous formal and informal conferences and meetings with active participation of member states' governments, civil society and the private sector, namely, in Kenya, 2012; in Tunisia, 2013 and in Estonia, 2014 that aim to deepen the discussion and exchange opinions on a wide range of issues from the state policy matters in the information and communication field, internet expressions, free and secure internet, online transparency and privacy, the value of internet in socio-economic and cultural development, future perspectives of internet, e-governance etc. up to the consequences of restricted online. Also, the Coalition has a key role play for having coordinated positions at International Telecommunication Union and its World Conference. Mongolia joined in its last conference at the Foreign Minister's level in 2014 in Estonia. Is FOC Conference held only at Ministerial level? The coalition, besides annual ministerial Conference, forms up a 15 - 20 member working group and other friends groups to work over the issues on free and secure internet, internet transparency and privacy, and also supports those individuals, threatened bloggers and online activists; and to solve other pressing issues in the internet world as well as to mobilize funds from donors and other supporters. The groups have introduced "Online Freedom Recommendation", "Digital Defenders Partnership" initiative and undertook measures to organise trainings for bloggers, human right defenders and civil servants even for hackers. In the timeframe where government policy in telecommunications sector and values of democratic society, public information and expression, the press, right for association, attract intense discussions of international society, Mongolia is taking the lead of "Freedom Online Coalition". 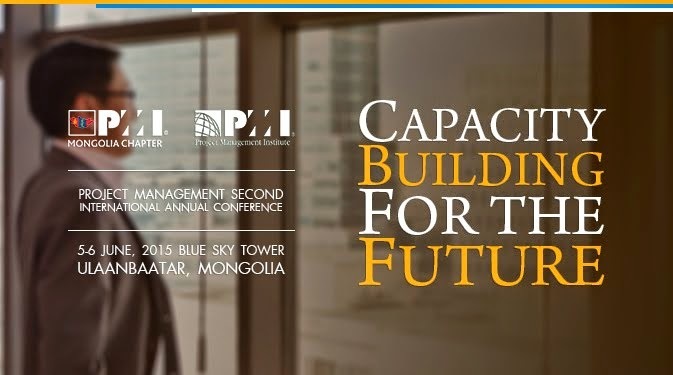 During its tenure, 2014 – 2015, Mongolia is hosting the fifth conference that will take place in the capital city Ulaanbaatar on 4 – 5 May, 2015. According to advance information there will be participants such as high level government officials, world prominent IT companies, and civil societies representatives. How important it is for the Mongolian Government? To organize this internationally recognized event successfully for the first ever time in our region, series of measures are being already undertaken. Certain members of Parliament formed up Caucus in support of FOC at the State Great Khural, Mongolia and are actively working for adopting or amending laws of online freedom issues. As planned, soon after the forthcoming conference an "Information communication technology - 2015" exhibition and student scientific conference will be organized by Information Technology, Post and Telecommunications Department, Technical University of Mongolia and Communications Colleges so far. For a proper preparation of the conference a joint working group consisting of Ministry of Foreign Affairs, Information Communications and Post Department, National Information Technology Park, and non-governmental organizations, Silk Road Foundation and Tsakhim Ortoo holboo, is being established aiming to ensure the multi-stakeholder participation, and on the other hand considering that not only communications also human rights, civil society and media organizations would be the potential stakeholders for a successful outcome . Series of discussions on FOC is being organized these days amongst ICT companies and NGO's and Insider magazine is devoting special edition for the Conference. April 30 (Mongolia Focus) Mining policy is a good entry point to understand the overall policy-making processes of Mongolia. For one, mining has been one of the dominant economic sectors of Mongolia since the early 1900s. Second, with extensive mining activities, mining has caused numerous political and socio-economic challenges for policy-makers. Today any policy decisions related to mining trigger diverse reactions from political parties, political-business factions, businesses, civil society activists, and citizens. Third, mining policies also have implications for global stakeholders such as IFIs, multinational corporations (MNCs), state-owned enterprises (SOEs), foreign governments, and transnational advocacy networks (TANs). Finally, mining requires policies with long-term consequences not only to ensure foreign and domestic investors business rights and property rights are protected, but also to assure citizens limit negative mining impacts on politics, economy, society and environment are prevented. For these reasons, the study of mining policy and its failures is useful to illuminate ways to manage the central challenge of democratic governance – how to promote long-term policy solutions in the face of short-termism(fractionalized, parochial interests) dominated politics. In other words, mining policy failures in Mongolia will highlight a key feature of democratic politics: politicians, who are on an electoral schedule are inclined to neglect the long-term consequences of their policies and only be interested in remaining in office at any cost. The following examples illustrate the less successful policy-making processes in Mongolia. They are policy failures for a few reasons: (1) their negative consequences are still present; (2) both politicians and the public acknowledge them as failed policies; (3) succeeding parliaments and cabinets have not taken any long-term policies to mitigate their negative impacts; and (4) politicians and bureaucracies still introduce similar policies that would certainly repeat these failures. The Gold Program [Алт хөтөлбөр] was introduced in 1992 to attract foreign and domestic investors and to alleviate the immense socio-economic challenges resulting from the economic transition of the early 1990s. Even though the program provided opportunities for domestic mining companies and the government to generate some revenues, the program brought many challenges. First, mining companies exploited the weak regulatory and institutional settings and the majority of miners did not properly close and/or reclaim their mining sites. Second, related to the first, it provided opportunities for the emergence of a Mongolian-type of 'gold rush' – the ninja miners – people who engage in artisanal mining activities at abandoned mining sites. Although the studies present different numbers, over 60 thousand people engage in artisanal mining activities and live within the informal (illegal) socio-economic structures of the artisanal mining. (Swiss Agency for Development and Cooperation, 2011, pp. 23-27; Grayson, 2004) Third, the negative environmental and socio-economic impacts of these small and medium-sized mining companies and artisanal miners are the most devastating to local community, environment, and herding livelihood (Swiss Agency for Development and Cooperation, 2011; World Bank, 2006). Although a few attempts were initiated, they did not succeed because of sudden policy changes. Nalaikh Coal Mine [Налайхын уурхай] is a thermal coal mine partially closed following a deadly explosion in 1990. From 1954-1980, a Soviet-style mining town was built in Nalaikh to provide high-quality coal for the Soviet military facility (i.e., the largest joint military airbase, engineering and air defense units), power plants of the capital city as well as ger districts in the greater capital city area. At that time, the mine had state-of-art facilities and followed the Soviet mining standards for environmental and labor safety. The withdrawal of Soviet military forces and suspension of Soviet assistance contributed to the overall deterioration of the operation and maintenance of the Nalaikh mine. Because of economic devastation in 1990, the government partially closed the mine, but it could not fully restrict artisanal mining activities in underground shafts of mostly unemployed miners and their families. Today over 1500 people mine with the lowest safety requirements. Since its partial closure, on average 10-17 people die annually in Nalaikh mines. Despite periodic talk about the negative impacts of artisanal mining in Nalaikh, no government attempted to enforce the mining law, standards, and regulations or to provide a long-term policy solution even though it is the closest mine to the capital city. Oyu Tolgoi [Оюу толгой] – was the first-ever and largest mining deal with multinational mining corporations (Jackson, 2014). After eight years of its discovery by the Canadian Ivanhoe Mines, the Mongolian government concluded the investment and shareholders' agreement with the Ivanhoe Mines and Rio Tinto in October 2009. Under the agreement, the Mongolian government obtained 34 percent ownership and the Turquoise Hill Resources (a name of joint mine of Rio Tinto and Ivanhoe Mines) 66 percent, with foreign investors agreeing to provide local employment, procurement, and to contribute to infrastructure development for the value-added production (e.g., copper smelter, power plant, rails, and roads). Even though this phase I (i.e., open pit mine) of the mine was completed in June 2013, the Mongolian government and Rio Tinto failed to reach agreement on the project costs, including its phase II (i.e., the underground block-cave mine). This disagreement caused both sides to take retaliatory measures against each other (e.g., unpaid tax claims by the Mongolian government and trimming Mongolian employees and some local procurement by the investors) while slowing the overall project development, sending negative signals for foreign, especially Western investors, and heating up domestic politics. Now many policy questions – how to deal with powerful, global investors over the ownership, management, and development of the large-scale projects and how to assure the public about long-term environmental and socio-economic challenges – remain unanswered. The most interesting fact is why politicians, most of whom were members of the 2004 and 2008 parliaments which approved the investment agreement, now have been attempting to change their policy choices. Tavan Tolgoi [Таван толгой] is the largest coal deposit in southern Mongolia. Since 2008, Mongolian politicians, bureaucrats, and private businesses as well as foreign investors have hoped to generate quick, substantial revenue from the Tavan Tolgoideposit for two reasons. First, it will be closer to Chinese and East Asian markets if the railroad to the Chinese border is built (247 km). Second, unlike the Oyu Tolgoi mine, the deposits are extractable with open-pit mining technology. Therefore, all stakeholders have been extensively competing over licenses for mining operations and development of infrastructure, especially the railroad. In 2010, following the recommendation of the National Security Council (NSC), the parliament directed the government of Prime Minister S Batbold to negotiate with potential foreign investors to operate the western section of the mine. A year later, the government announced its decision to divide the operating licenses for Chinese Shenghua Group (40%), Russian-Mongolian consortium (36%), and American Peabody Energy Corporation (24%). However this decision was recalled immediately due to concerns from Japanese and Korean bidders. At the same time, the government permitted the state-owned Erdenes Tavan Tolgoi to operate the eastern section of the mine with domestic and foreign mining companies. Then contracts of the Erdenes TT were revoked and re-negotiated by the governments of ex-Prime Minister Altankhuyag and incumbent Saikhanbileg. In August 2014, the government issued another resolution to finalize the bidding over the operation of the Tavan Tolgoi mine. The Strategic Entities Foreign Investment Law was passed by the parliament in May 2012 and invalidated in October 2013 with the passage of the new Investment Law. In April 2012,the Chinese state-owned Aluminum Corp of China Ltd (Chalco) launched a bid to buy the stakes of Ovoot Tolgoi, a Mongolian coalmine, from the South Gobi Resources Ltd (SGQ). Since the deal was done without informing the Mongolian government, politicians and the public began to voice concerns about the country's sovereignty. A month later, the parliament passed the 'Strategic Entities Foreign Investment Law,' which requires foreign state-owned and private investors to obtain the parliamentary and governmental (cabinet) approval to operate in sectors of strategic importance (i.e., terrestrial resources, banking and finance, and media and communications). Just like the quick passage of the law within a month, it was amended in April 2013, and repealed in October 2013 with little study and justifications. The Windfall Profit Tax Law was passed in 2006 and repealed in 2011. The law imposed a 68 percent tax on copper and gold concentrates. In accordance with this law, mining companies operating in Mongolia would pay 68 percent tariffs on copper and gold concentrates if the price of copper and gold exceed $2,600 per metric ton and $500 per troy ounce respectively on the London Metal Exchange. The threshold for gold was raised to $850 in 2008. Although the initial draft included only copper, gold was added later because of pressures from civil society movements. Interestingly, this law was secretly passed through a quick legislative process without proper consultation with major stakeholders – the copper and gold mining companies. By imposing the windfall profit tax, politicians intended to generate revenues to implement their election campaign promises (e.g., cash transfers), to assuage concerns of environmental and civil society movements concerning irresponsible mining, and to pressure the Oyu Tolgoi mine to build smelter facilities in Mongolia. The Windfall Profit Tax Law produced several unintended consequences. First, it faced strong opposition from the mining communities; many sought ways to evade taxation (mostly due to poorly institutionalized enforcement) and the scale of the artisanal mining increased. Second, the only implementer of the law became the Mongolian-Russian joint copper venture, Erdenet, which then needed to generate additional revenue for the state beyond its operational capacity. Third, it projected the image of an unstable regulatory environment for major foreign investors. The Law on Prohibition of Minerals Exploration and Mining Activities in Areas in the Headwaters Rivers, Protected Water Reservoir Zones and Forested Areas (known as The Law with the Long Name [Урт нэртэй хууль]) – was passed by the parliament in July 2009 under pressure from civil society organizations and the environmental movement. Since the implementation of the aforementioned Gold Program, environmental damage, especially to rivers and forests, had grown noticeably and disrupted the livelihood of herding families and agrarian communities. The law caused strong opposition from the mining companies while bringing staunch support from civil society and the public. However the implementation process became difficult for two reasons. First, the law stopped all types of exploratory and extraction activities of mining companies near water sources, river basins, and forests. As a result, the government has been mandated to reimburse costs of all these mining companies. Second, the law still lacks effective enforcement mechanisms for artisanal miners, whose operations are not regulated under any mining and environmental legislation. Although civil society and environmental movements succeeded in pressuring politicians to regulate irresponsible mining activities, politicians failed to produce a well-thought, phased, and effective policy that considered the demands of all stakeholders, namely civil society organizations, mining companies, and local community. These are a few examples of failed mining policies in Mongolia. Although politicians, parties, and bureaucracies have been attempting to improve the regulatory framework for mining activities, these laws, regulations, and standards are destined to be "momentary policies" due to the bargaining dynamics of major stakeholders – domestic and foreign investors, mining lobbies, mining companies, and IFIs on one side and civil society actors made up of domestic and international networks, environmental movements, and local community on the other side. Between these two forces, politicians, parties, and bureaucracies could not envision and enforce long-term mining policies. The mining sector of Mongolia has evolved through different historical stages: mostly Chinese dominated artisanal mining period (up to 1925), when Western companies were conducting small-scale exploration and extraction activities; the socialist period (1925-1989), when the Soviet Union and other communist bloc states (esp., Czechoslovakia, Bulgaria, Germany) had assisted establishing a large and medium scale mines and conducting geological surveys; the post-communist period (from 1990 onwards), when Mongolia has been using its mineral resources to attract foreign and domestic investors. Mining administration, mining rescue unit, recreational facilities, railroad, and mining vocational training college. The Strategic Entities Foreign Investment Law (2012) available at: www.legalinfo.mn. The 68 percentages was taken not because of the careful calculation, but of the commemoration of the Mongolian sumo records. The law was published in the State News (Төрийн мэдээлэл) 2009, No. 28. In 2011, the Head of the Mineral Resources Authority acknowledged the law was an important step towards responsible mining, but its implementation process was not clearly articulated. "The Law with the Long Name is a Good Legislation," ["Урт нэртэй" хууль бол сайн хууль] 27 April 2011, http://economy.news.mn/content/64451.shtml; the civil-society compiled information on the Law with the Long Name is available at transrivers.org. SINGAPORE, April 30 (IFR) - Trade and Development Bank of Mongolia is set to return to the US dollar bond market after the Government of Mongolia stepped in to guarantee its medium-term notes programme. The lender has hired Bank of America Merrill Lynch, ING and Deutsche Bank as joint bookrunners to arrange meetings with fixed-income investors in Asia, Europe and the US starting Monday. An offering of 144A/Reg S senior unsecured notes with a guarantee from the Government of Mongolia may follow, subject to market conditions. Moody's has assigned the proposed new offering a B2 rating, while Standard & Poor's gave it a B+, in line with the sovereign's ratings. TDBM is the largest lender in Mongolia, with assets of US$2.9bn at the end of December, and its return promises to test investors' appetite for Mongolia's slowing economy. The Asian Development Bank predicts GDP growth of just 3.0% in 2015, down from 7.8% in 2014 and 11.6% in 2013 after a fall in resource prices. Last June, TDB had attempted to issue a US dollar bond at a tenor of five years, having indicated a yield of 11.25%. However, TDBM was forced to pull the deal after Portugal's Banco Espirito Santo announced a restructuring, which caused volatility in the markets. Back then, TDBM's MTN programme was to be backed with a non-bonding letter of support from the Mongolian Government. However, as the rating agencies said the letter of support would have no impact on the way they saw the bonds, the lender decided not to use it. In the interim, Deutsche Bank has replaced Goldman Sachs in the bookrunner line-up, and TDBM has cut the size of the MTN programme to US$500m from US$1bn. Mongolia's 2018s were bid at 6.5% today, having recovered from a spike to 10.2% on January 22, according to Tradeweb prices. On Thursday, S&P revised its outlook on Mongolia to negative from stable, warning it could be downgraded this year or in early 2016 if the grand coalition's new policies to encourage foreign direct investment did not work or if its debt burden rose. "Mongolia's external position is weak, making policy implementation all the more important," S&P stated in a note. "After running current account deficits of over 25% of GDP for three consecutive years from 2011 to 2013, Mongolia's 2014 current account deficit fell to a still-high 8.5% of GDP. We expect the deficit to remain roughly at this level through 2016." S&P also said it expected the government to assist systemically important banks in rolling over their external debt. TDB was privatised in 2002 and has been majority owned by Malaysian investors since 2006 (Mogi: huh?). It first issued offshore debt in 2007, raising US$75m at a yield of 8.75%, and raised double that amount at the same yield on its return in 2010. Its last US dollar bond was a US$300m 8.5% note, launched in September 2012 at a yield of 8.625% via BofA Merrill and ING. All were three-year maturities. It has also sold Dim Sum bonds, raising Rmb700m (US$115m) at 10.25% in January 2014. CLSA and Deutsche led that deal. April 30 (Bloomberg) -- A 50-megawatt wind farm in Mongolia's South Gobi area can commence construction, advancing the nation's goal of increasing its clean energy sources. The $100 million Tsetsii plant received its permit from the National Dispatching Center, which manages Mongolia's grid, said Bolor Jargalsaikhan, chief executive of joint operator Newcom LLC. Mongolia has set a target to derive 20 percent of its energy from renewables by 2020. More than 90 percent of the country's energy currently comes from Soviet-era coal-fired power stations located in the capital Ulaanbaatar, one of Asia's most polluted cities. The wind farm is the first project of Clean Energy Asia LLC, which is 51 percent owned by Ulaanbaatar-based Newcom and 49 percent by Japan's SB Energy, which is SoftBank Corp.'s energy arm. The operators plan to expand power capacity from 50 to 250 megawatts within 10 years. The Tsetsii plant, 540 kilometers (336 miles) south of Ulaanbaatar, should be completed in November 2016. Ferrostaal Industrial Projects GmbH is also slated to complete a wind farm in 2016. The Ferrostaal project is 52 megawatts and will be built in the East Gobi town of Sainshand. The two new wind farms will take the nation's renewables generation to 152 megawatts. Mongolia's total installed capacity now is 864 megawatts, according to Newcom. The Tsetsii plant's power purchase agreement with the government is valid for 25 years. A tender for a turbine supplier and construction firm will be announced in the middle of the year, said Bolor. Tsetsii is Newcom's second wind farm. In 2013, it completed the 50-megawatt Salkhit project at a cost of $120 million, marking the first time in 30 years that a new power plant was connected to Mongolia's central grid. April 30 (news.mn) During the last six years exploration of petroleum in Mongolia has drastically increased. As of the first quarter of 2009 Mongolia has explored 183,000 barrels of petroleum, and in the last quarter of this year Mongolia has explored 1.8 million barrels of petroleum. However, during this period the consumption of petroleum has doubled. As of the first quarter of 2009 Mongolia has imported 30 million USD in petroleum, however, as of the first quarter of this year, 70 million USD has been spent on imported fuel. As reported by the Minister of Industry, D.Erdenebat, Mongolia is going to build a petroleum processing factory with the capacity to process 2 million tons of petroleum per year in the Gobi region and Tamsag. GOMEL, 29 April (BelTA) – The Dobrush Porcelain Factory has made the first supplies of its products to Lebanon and Mongolia to the total tune of $25,000, BelTA learnt from Deputy Director General Nina Gorbatovskaya. In her words, positive feedback shows that there is every chance that the cooperation in the area will be continued. Seeking new markets is one of the most important aspects in the company's foreign economic activity. The Belarusian porcelain producers sustained losses of more than Br10 billion due to a sharp devaluation of the Russian ruble in late 2014. In order to level down the consequences of similar situations in the future, the company is in extensive talks to conclude delivery contracts with the companies of Jordan, Romania, Georgia, the Balkan Peninsula and other countries. "Apart from that, we are looking to the ways to increase exports to the markets of Azerbaijan, Kyrgyzstan, Kazakhstan, Germany, and Sweden," said Nina Gorbatovskaya. In January-March 2015 the company's exports totaled over $2.4 million, almost 70% of its production volume. Dobrush Porcelain Factory is the biggest producer of porcelain ware in Belarus. The first products were manufactured on 28 December 1978. The company has its quality management system certified for the compliance with the standard of ISO 9000 (STB ISO 9001-2001). The company employs over 1,300 professionals. April 29 (GoGo Mongolia) EPA between Mongolia and Japan is to start its implementation in two months time. Working group of the EPA is recommending studying the document of over 1000 pages to research on opportunities for the Mongolian entities rising with the implementation. The EPA is waiting the approval by the Japanese Parliament. Government agencies are studying thoroughly on the impacts of the EPA in their respective sectors. Last few days extensive meetings on the opportunities rising for the agriculture sector of Mongolia have discussed the provisions of the agreement among their professionals. According to L.Ariunaa, Head of the Cooperation Department at the Ministry of Foreign Affairs and member of the EPA Working Group there are differences in establishing the free trade agreements between the countries, for instance, United States requires to establish agreement on transparency of the laws and regulations first, while in Japan they are more interested in reduced tariffs, increased investments and technical support in order to implement the partnership agreements. In other words, Japan is paying attention to follow up actions as well. Nevertheless, Mongolia has to commit more into successful implementation of EPA, which was in talks and negotiations for three years. With the start of the EPA implementation the biggest hope for Mongolia is the increase in export amount. While currently Japan is not even in the first five countries list that Mongolia exports to. WHAT OPPORTUNITIES DOES AGRICULTURE SECTOR HAVE? In the 17-chapter agreement with Japan, Mongolia could include the whole chapter on non-tariff barrier to the trade, although the agreement draft was not provisioning this issue. This issue was researched, developed and introduced at the 3rd stage of the negotiations by Mongolian side. What does this section with 10 provisions cover? Standard Agencies of the two countries are to cooperate in regards with supporting each other at the regional and international level. If the products are corresponding to the standards both sides should acknowledge and accept, meaning that no sampling and lab tests conducted. Moreover, information centers will operate as well. Non-tariff barrier to the trade is important mostly in the agricultural sector. Although we are cheering that Japanese side is to reduce the tariffs, we have to remember that there is real obstacle of non-tariff barriers, which are commonly knows as high standards and health and safety bans. Mongolia when entered the WTO was obliged to lower the agricultural import tariff, which is currently set at 5.1 percent known as the most favorable. While in Japan the same number is at 15.5 percent. Which on the contrary means that Japan is good at protecting their internal market. While having the high percentage on the tariffs Japan has set the quota for agricultural sector products coming in from Mongolia. The rationale behind is to test products from Mongolia. In other words, if the Japanese market will be happy then the exports might increase. This means Mongolian entities have to study the tastes and interests of the Japanese and adhere to their standards. For instance, let's take noodles. Japan accepts imports of pastry with 5-20 percent taxes and allowed to import 1 ton per year. Sides have agreed to review the terms in 5 years time (could be after 4 years). During this period Mongolian entities will have better chances to be accepted on the Japanese market if they utilize their technology and adhere to their standards. As Japan is one of the biggest markets for the ramen noodles it is their way to protect their market. But Mongolia obtained rights to export lamb and goat meat, semi-processed beef, milk, curd, some pastry, eggs, drinking water, beer, seabuckthorn, vegetables, berries with no customs taxes. As of meat products the sides to review the agreement conditions after five years. Japanese side set the quota for the conserved beef as well while preferred the warm processing. The only product, which is left out of tariff, is the wheat. WHY THE PRODUCT ORIGIN IS IMPORTANT? If the manufacturers have decided to export their product they have to prove that it was produced in Mongolia. This is certified with the Certificate of Origin. EPA between Mongolia and Japan provisions 26 sub-chapters on the origin of the product. 1. Goods wholly obtained or produced in a single country – mineral resources, sea products, cattle, plants and etc. 2. Goods whose production involved materials from more than one country - if some of the components are manufactured in Mongolia, but components are added for instance from Japan and the product is assembled in Mongolia it may be judged that the product originates from the country where it is assembled. This enables us to enter to the regional product cost network, which is favorable for our industrial sector. If the imported ingredient of the product is less than 10 percent the product will be considered as product of Mongolia. This eliminates the third party involvement in the trades and benefit from the EPA between Mongolia and Japan. Agreement foresees that during the transit transportation through the territory of PRC the loads would not be opened, therefore securing the original state of the product. This is the way Japan protects their market from the products of PRC. On the other hand, securing the guaranteed quality of the Mongolian products. Here we have just mentioned some of the common specifics on the product origin provisioned in the EPA, total of 200 pages. Every product has its own regulations. After these regulations manufacturer has to adhere to the standards and health requirements. According to the agreement if Japanese side will have doubts on the origin they have the right to initiate the inspection by request sent to the Mongolian Customs Authorities, who is enabled to conduct the inspection and has the right to inquire the related information. In other words, let's suppose that Mongolia has exported lamb meat more than it was slaughtered in the given year, Japanese side has all the rights to come into Mongolia and investigate on the case. Due to the lack of the language knowledge Mongolian manufacturers might fill the customs documents wrong. In that case the load would not be transported back, but will be accepted as a minor mistake according to the agreement. But the intentionally wrong documents will lead to blacklisting. Mongolia has sealed a two-staged deal with Japan. Previous agreements with USA and EU were on-staged. As a result by the end of the agreement term in 2005, all the investors in the textile industry have sold their equipment and exited the market. While the new EPA with Japan provisioned the two-stage implementation. It is prohibited to export garments produced using the imported materials and equipment. The EPA provisions the use of the materials made from the yarn made in Mongolia. Only sweaters made with yarns of Mongolian manufacturers will be accepted on Japanese market, which in turn is a great opportunity for Mongolia's light industry to revamp its capacities, leading to an increase in the employment. Anyway, the EPA working group is conducting expansive meetings with the market participants on the rising opportunities for Mongolian businesses. They plan on more detailed informative sessions for the seabuckthorn growers and fodder producers and so on. One thing they want is the initiative from the businesses. While some of the market participants are skeptical on the use of Japanese know-how and use of the Japanese technology referring to the increased costs to the manufacturers. But seeing the increase in the number and amount of the exports to Japan is leaving us with the great hope for the better. April 30 (gogo.mn) In popular culture, certain countries are stereotypically associated with certain products — beer in Germany, carpets in Turkey, electronics in Japan and Travel in Mongolia. But those things aren't what people are really searching for. Earlier this month, the cost-estimating website Fixr.com put together a map of the world with the most-Googled for object in each country, using the autocomplete formula of "How much does * cost in [x country]." While the results are far from scientific — since Google autocomplete results vary based on the searcher's history, the time of search, and the place of search — they do say at least a little bit about how countries are perceived. April 30 (gogo.mn) As the fifth week of April 2015 comes to an end, National Statistics Office reported the average prices for main food items. Average price for mutton with bones is at MNT 7,490, beef with bones at MNT 7,950. Price for beef with bones were increased by MNT 5 compared with the previous week, while prices for beef were increased by MNT 165. As observation, beef was priced the lowest at "Max" supermarket at MNT 7,400 and highest at "Nomin", "Bumbugur", "Tavan Erdene" and "Mercury" markets at MNT 9,000. Price for mutton with bones were increased by MNT 225 compared with the previous week, while prices for mutton were increased by MNT 60. As observation, mutton was priced the lowest at "Max" supermarket at MNT 6,500 and highest at "Mercury" market at MNT 9,500. Price for "Altantaria" sack of high-quality flour at "Khuchit Shonkhor", "Tavan Erdene", "Bumbugur", "Bayanzurkh" and "Kharkhorin" markets is at MNT 1,100-1,300. At "Bars" market, "Altantaria" high-quality flour priced at MNT 1,100 while first grade flour priced at MNT 900. Prices for potato were increased by MNT 35 and prices for carrot were increased by MNT 25 compared with the previous week. April 30 (news.mn) The Office of the President has announced that more than 197 billion MNT in loans will be issued to Ulaanbaatar hotels to prepare for the reception of guests attending the Asia Europe Meeting (ASEM) Summit being held in Mongolia next year. In total, 43 hotels will receive guests and representatives attending the ASEM Summit. There will be 3,586 rooms with 5,379 beds for guests and 37 presidential suites available for leaders of countries participating in ASEM. Of these 43 hotels, one is a one star facility, three hotels are considered two stars, 11 hotels considered three stars, four hotels considered four stars, and three hotels considered five star accommodations. Several new hotels are also scheduled to open in 2016. Thirty-four of the hotels require investment for improvement and upgrades, with an estimated 197 billion 384 million MNT required for renovations. The issue was discussed by the cabinet, which has decided to provide soft loans to these businesses. News.mn spoke to the Head of the Office of the President P.Tsagaan to learn more about the decision. How will financial assistance be provided to hotels? Soft loans will be provided with three to five year terms with an interest rate of nine percent. For one hotel, a maximum of 30 billion MNT will be provided as a soft loan. This money will be spent for the procurement of dishes, security services, hotel renovations, and bedding. Hotels will repay this money to commercial banks. This issue and the procedure of loan allocations will be discussed at the cabinet meeting next week. How about the security of guest and delegates who will participate in the ASEM Summit? Six working groups have been established for ASEM preparations. We have discussed this issue with Governor E.Bat-Uul. Exits and entries to the hotels are now being checked. Special civil servants will participate in improving security and state organizations will participate in ensuring safety. April 30 (infomongolia.com) On April 29, 2015, the Ministry of Natural Resources and Environment of the Russian Federation announces that the World Bank sends a group of monitoring mission to Selenge Aimag on upcoming May 03-06 to get familiarized with arousing situation regarding appeal and complaint on hydropower project namely "Shuren" on the Selenge River in Selenge Aimag of Mongolia. The announcement was made by Deputy Minister of Natural Resources and Ecology of Russia Rinat Gizatulin during his meeting with the Head of the Ministry, Sergey Donskoy. A Technical Assistance Credit on the project to construct the "Shuren" hydropower plant on Selenge River was agreed to be financed through the World Bank, but the Russian side as well as locals from Mongolia are strongly disagree with the project that would pollute the Selenge River and further the Baikal Lake and most people concerned that the hydroelectric power plant and a related pipeline project will do immeasurable environmental damage to the biodiversity. Accordingly, Inspection Commission intends to assess the compliance of the project rules and procedures of the World Bank that provide for assessment of the environmental and social impact of projects funded under its line. The Selenge River is the principal source of Baikal Lake responsible for 50% of water inflow, supply of most sediment, nutrients and pollutants. Most of Selenge River basin belongs to Mongolia and approximately half of its flow is formed there. According to 2014 Terms of Reference for Environmental and Social Impact Assessment of "Shuren Hydropower Plant" Project, the Government of Mongolia received a Technical Assistance Credit from the International Development Association (the World Bank) in an amount equivalent to 25 million USD, toward the cost of the Mining Infrastructure Investment Support Project and intends to apply a portion of the proceeds of this credit to eligible payments under this Contract. The Mining Infrastructure Investment Support Project (MINIS), financed by the World Bank, aims to facilitate investments in infrastructure to support mining-related activities and downstream value-added processes (regardless of funding source) and to build local capacity to prepare and transact infrastructure Projects. In the scope of "Shuren hydropower plant" ("Project"), a Feasibility Study is about to be carried out. Since November 2011, the Government of Mongolia has been discussing the Shuren hydropower plant (HPP) along with several other energy projects and recognized the Shuren HPP as a priority project. JOINT BASE ELMENDORF-RICHARDSON, Alaska, April 28 (Alaska National Guard Public Affairs) — The state of Alaska partnership between the Alaska National Guard and the country of Mongolia spans over a decade and has evolved into a strategic nation-state relationship. The two were paired in 2003 under the National Guard State Partnership Program, which began pairing states and countries in 1993. The program was implemented to couple foreign countries with states to develop unique security partnerships that ensure U.S. strategic access and a sustained presence in countries worldwide. Alaska and Mongolia share similar geography, Arctic climate, isolated rural population and a vast mineral wealth. These commonalities and the similar challenges both face, allow for a better understanding of each other. "Mongolians and Alaskans face similar social, economic, and climate related opportunities and challenges, particularly in rural areas," said Maj. Adam Negri, the AKNG bilateral affairs officer. "Mongolia and Alaska have vast mineral wealth, but have a hard time accessing it because of lack of infrastructure. Most of Alaska's population lives in the Anchorage and Matanuska-Susitna area, while most of Mongolia's population is centered on Ulaanbaatar with the rest of both populations dispersed and largely rural." Mongolia is a stable democracy sandwiched between China and Russia, and is supportive of the U.S. Since 2004, Mongolia has been deploying its soldiers alongside U.S. troops in Iraq and now Afghanistan. Additionally, the Mongolian Armed Forces have over 950 soldiers participating in several UN Peacekeeping operations in Africa. "The Mongolian Armed Forces are tailored to the peacetime needs and the economic potential of the country," explained Negri. "They participate quite heavily in peacekeeping operations in Africa supporting the United Nations. Mongolia has realized the tangible benefits of being a global partner in peace and security and enjoys a voice at the international table far greater than it would otherwise." Since 2004, AKNG personnel have embedded with MAF and have served along-side them in Iraq and Afghanistan. More than 1,500 Soldiers and Airmen have traveled to Mongolia for training and exercises in support of Mongolia's peacekeepers and first responders. "Because of the success of the Alaska - Mongolia state partnership, the Alaska National Guard is continually asked to participate in U.S. Pacific Command exercises and subject matter expert exchanges," said Negri. "The active duty military has recognized that the State Partnership Program is effective and leverages it to enhance stability in the Asia-Pacific region." Approximately 75 Alaska Guardsmen are preparing now to participate for the eighth consecutive year in Khaan Quest; a multi-national, joint military exercise in Mongolia, which is the cornerstone of the U.S.-Mongolia relationship. The AKNG takes a leading role in this exercise and habitually provides one-third of all U.S. participants. "Khaan Quest for the Alaska National Guard is where friends get together," explained Negri. "Due to rotation, active duty personnel do not have the ability to send the same exercise planners every year. Alaska Guardsmen and their Mongolian counterparts develop stronger bonds over the years which allows for a much freer exchange of ideas in both directions." The SPP is designed to be mutually beneficial. Alaska National Guardsmen get the chance to share expertise, practice their teaching and training skills, experience another culture and learn how a foreign military force organizes and operates. The military-to-military relationship between the AKNG and MAF has been a catalyst for the nation-to-state initiative. The Alaska-Mongolia partnership has expanded to include relationships between the Division of Homeland Security and Emergency Management, the University of Alaska system, U.S. Army Alaska, and the Alaska District U.S. Army Corps of Engineers, and their Mongolian counterparts. The U.S. Ambassador to Mongolia, Ms. Piper Campbell, made her first visit to Alaska last week to help strengthen the already positive relationship and recognize the great work Alaska has done in Mongolia to promote peace and security, assist in disaster preparedness and partner for better education. "The Alaska-Mongolia State Partnership has grown from a modest cooperation between the Alaska National Guard and the Mongolian military to much more," affirmed Campbell. The Alaska-Mongolia partnership is looking to expand in two areas; defense support to civil authorities and arctic maintenance and operations. "As a National Guard, we work very well with our first responders and emergency managers to support the needs of Alaskans in times of disaster," said Negri. "The Mongolian army has the same mission and they are working to take best practices from Alaska and include them in how they prepare for and respond to disasters." Alaska has been working with the Mongolian National Emergency Management Agency since its establishment in 2004. Earlier this month, the AKNG and USARAK joined 100 participants from 30 agencies across Mongolia, the U.S. and other countries, to participate in a disaster response exercise and exchange called Gobi Wolf, hosted by NEMA. "The exercise, which simulated an earthquake in Mongolia's largest city, Ulaanbaatar, resembled Alaska's Vigilant Guard exercise," said Negri. "NEMA officials attended Vigilant Guard in 2014 and modeled the exercise after their participation in Alaska." Future exchanges between engineers from the AKNG and Mongolian military, which would focus on maintenance and operations in the arctic, are being reviewed. The Alaska-Mongolia partnership is so imperative that the National Guard Bureau and USPACOM assigned an Alaska National Guardsman to the embassy as the bilateral affairs officer and chief of defense cooperation. "As the bilateral affairs officer for the Alaska National Guard, I coordinate all aspects of the Alaska – Mongolia relationship and make sure all activities are complementary to the embassy, USPACOM and Mongolia's goals," said Negri. "I am also the chief of defense cooperation which leads the DoD and USPACOM military security cooperation program and serves as the liaison of humanitarian assistance matters with Mongolia." As a member of the ambassador's country team, Negri feels extremely rewarded that he was given the opportunity to serve in his current position and live in Mongolia. "Mongolia is a great place to live which parallels with Alaska. Both are extremely friendly and welcoming, have a healthy love for the outdoors, and plenty of open space when you leave the city," said Negri. "It has been a wonderful opportunity for both me and my family to learn and grow in another culture." "Alaska has contributed greatly in Mongolia," added Campbell. "Whether building hospitals or schools, providing medical and dental treatment in underserved areas, working with students, or training with Mongolia's military, Alaskans have made a difference in the lives of Mongolians." April 28 (UB Post) The Union of Mongolian Artists is presenting the exhibition "Khalkh Gol", dedicated to the 75th anniversary of the victory of the Khalkh Gol battle in World War II , through April 30. The exhibition includes over 80 paintings and sketches by 60 different artists from Mongolia and Russia. The Battle of Khalkh Gol took place from May 11 to September 16, 1939, at the Khalkh River in Mongolia. The battle was one of the most decisive battles in the region during World War II and it resulted in the defeat of the Japanese Sixth Army by Soviet and Mongolian soldiers. The purpose of the exhibition is to demonstrate the history and the tragedy of events surrounding the battle, so the youth can remember the great heroes of that time. Many of the paintings in the exhibition were created in a realistic fine art style, which gives viewers strong impressions of the scenes from many years ago. There are many paintings that were created in the socialist realism method. Those paintings represent an extraordinary experience of the history of fine arts. This is the third time in ten years that the NWFZ and Mongolia celebrate a Conference. It is appropriate to consider the value of this initiative and the fruits it is supposed to bear. A clear answer to this question implies a brief analysis of the objectives we are pursuing here. The first objective of our Conference is to take advantage of our legitimacy as members of NWFZ in order to reclaim, with the strongest and loudest voice, a world free of nuclear weapons. Their very existence and, moreover, their deployment, their inclusion in strategic doctrines and policies, their possible use as instruments of political coercion, blatantly transgress International Law, including the UN Charter, and International Humanitarian Law and the covenants in defence of the environment. That is why the NWFZ, as collective political entities, should develop an outward attitude and should not merely be considered as areas of retreat from the hard realities of nuclear weapons politics. NWFZ must continue to promote nuclear disarmament, for if deterrence fails and nuclear weapons are unleashed, no treaty will protect any NWFZ from the destruction of the Planet. A second objective is to review the operation of the Treaties that created the Zones not only regarding their non-proliferation clauses but also other aspects like the development of the capability to use nuclear energy for peaceful purposes. This review necessarily includes the recognition of our Treaties and respect of their letter and spirit by all States, beginning with the NWS. All the five Treaties were formally acknowledged and supported by the UN General Assembly. Protocols attached to the Treaties are an integral part of them. In this connection, declarations and interpretations that amount to reservations by States signatory and party to the Protocols are a contradiction that must be resolved by means of formal consultations beyond traditional appeals. A third objective of our Conference is to favour the establishment of new NWFZ. We are here because we believe in the validity of the commitments and arrangements embodied in our five Treaties. Every new group of States that join the concept of NWFZ represents a progress towards the abolition of nuclear weapons and add to the political strength of the movement. The international community as a whole has an interest in the establishment of a zone free of nuclear weapons and other weapons of mass destruction and their means of delivery in the Middle East. We are aware that this endeavour must be pursued on the basis of arrangements freely arrived at among the States within the region. However, in the experience of existing NWFZ there are elements that may be useful to the Middle East process. The 2010 NPT Review Conference, in its Final Document, foresaw that the IAEA, the OPCW and "other relevant international organizations" be consulted. The Agency for the Prohibition of Nuclear Weapons in Latin America and the Caribbean – OPANAL – was not approached on the subject in the last five years, but remains ready to contribute. "We will continue to pursue international efforts to achieve a nuclear-weapon-free world. In this regard, we intend to foster cooperation among the nuclear-weapon-free zones to fully implement the principles and objectives of the treaties and to exchange relevant ideas and best practices in areas of mutual interest. To maintain continuity in the enhanced interaction among the nuclear-weapon-free zones generated at this Conference, we will explore, through diplomatic channels, the appropriate modalities for maintaining contact and disseminating relevant information among the nuclear-weapon-free zones during the inter-sessional period." As we are all aware, this cooperation has not been implemented yet. We represent 116 States including Mongolia, we cover an enormous area with an immense population. We could take advantage of a more fluid and constant contact instead of limiting us to a gathering every five years. A light and informal mechanism, without pre-conditions or fixed purposes, composed of a few representatives of every Zone meeting annually, for example, on the margins of the First Committee would certainly, in the view of OPANAL, have a healthy influence in the context of disarmament and non-proliferation diplomacy. Latin America and the Caribbean opted 48 years ago to create a permanent institution to oversee compliance with the Treaty of Tlatelolco and perform duties related to it in agreement with States Party. The Agency for the Prohibition of Nuclear Weapons in Latin America and the Caribbean – OPANAL – has been steadily performing its functions and is a focal point that enhances the active and harmonious participation of its member States in international efforts for nuclear non-proliferation and disarmament. OPANAL is open to engaging with the other NWFZ in the ways each one deems appropriate in order to advance our common purposes. OPANAL is also willing to increase its collaboration with civil society organizations, especially in initiatives related to education for peace and disarmament among other interests. April 28 (UB Post) State-prized scientist N.Natsagnyam won the 2015 National Productivity Award on Monday for his research on keeping the central energy system stable despite faults or voltage fluctuations at power plants. The award is granted by the Asian Productivity Organization every year to scientists and engineers whose work saves on manual labor and increases productivity. N.Natsagnyam was awarded with three other engineers from different nations. The Asian Productivity Organization (APO) has branches in 19 countries, including Mongolia, and the Mongolian Productivity Center (MPC) nominated N.Natsagnyam's study "Automated Adjustment for Reactive Potential of Synchronized Generator and Virtual Laboratory NaNyam-AX12" for the award. His research has been well-received as not only innovative technology that can save billions of MNT being spent on imported power, but it also costs ten times less than similar technologies, according to MPC. Deputy Minister of Education and Science Ya.Tumurbaatar presented the award on behalf of the APO. The government also bestowed N.Natsagnyam with the Top Inventor of Mongolia Award on the same day, an honor previously granted to 119 Mongolian innovators. April 29 (Jiji Press) Japan's maternal and child health handbook is now effectively encouraging pregnant women in Mongolia to visit prenatal clinics, a team of Japanese and Mongolian researchers reported in an article posted on the U.S. journal PLOS ONE. It is the first scientific study to show the publication's contribution to promoting the health of pregnant women and their babies, according to the research team led by Rintaro Mori, director of the Department of Health Policy at the Tokyo-based National Center for Child Health and Development. Created and introduced in 1947, the handbook has developed into a key communication tool between clinics and pregnant women in Japan. In collaboration with the Mongolian Ministry of Health, the team conducted an experiment from 2009 to 2010 in which women in nine of 18 randomly allocated districts in a village in Bulgan, northern Mongolia, received the local version of the handbook when making their first antenatal care visits. Those in the remaining districts were given the manual nine months later. The number of pregnant women who received the handbook immediately, called the intervention group, totaled 253, and that of the remainder, who formed the control group, came to 248. The average age of the 501 women was 27. About 30 percent of them were experiencing their first pregnancy. The study found that 82 percent of those in the intervention group made at least six antenatal care visits, as advised by the Mongolian government, compared with 72 percent in the control group. Of the women who received the manual, 89 percent visited antenatal clinics six times or more, the team said, adding that among the handbook users, pregnancy complications were 2.5 times more likely to be detected and passive smoking was reduced by 16 percent as family members quit using tobacco. "Visible records kept on the handbook can make women more health conscious and, if there are some, clearly show problems that are to be treated," Mori said. TAIPEI, Taiwan, April 28 (The China Post) -- A five-year-old Mongolian girl, Otgonzul, will undergo surgery at Taiwan National University Hospital (TNUH, 臺大醫院), and will hopefully be able to return to school in Mongolia, her healthy right arm showing from her t-shirt, just like every any other schoolgirl, said a representative for Taiwan Fund for Children and Families (TFCF, 家扶基金會). According to TFCF Mongolian Branch Office, Otgonzul was born without a thumb on her right hand or a right forearm. Raised by a single mother who struggled on a very low income, Otgonzul and her two sisters currently reside in a factory storage room, instead of a Mongolian yurt, or small nomadic dwelling. Her mother's salary could only just meet their daily necessities. Paying for Otgonzul's arm surgery was out of the question. Just like many other Mongolian children, given their financial situation and Mongolia's poor medical resources, Otgonzul was in little hope of treatment. According to TFCF's Mongolian Branch Office, most children could only hope that foreign surgeons would come to Mongolia, or foreign funds would come to support overseas medical treatment. In Otgonzul's case, she was luckily met by representatives from ChildFund Korea last October, whose social workers then raised a fund of NT$1.72 million for TFCF Mongolian branch. The purpose of the fund is to pay for children's medical treatment, overseas transportation fees, and for dietary and nutritional support. Otgonzul was then the first child to travel overseas for medical treatment with the support of ChildFund Korea. She has now undergone her first operation, with two more to go before she stands a chance of gaining a healthy right hand and arm. Otgonzul's mother expressed her gratitude to TFCF, saying that she is optimistic about the operations, and that she believes Otgonzul will be able to rest her right arm under the sunshine very soon, never again to have to hide under long sleeves in the future. As for Otgonzul, she is most looking forward to having the plaster cast removed, and wearing T-shirts to school, hand-in-hand with her classmates. April 28 (United Bible Societies) Christian life in Mongolia was close to non-existent by the time Mongolia adopted a democratic system, after around 65 years of communist rule. But since 1992 there has been a healthy growth in the number of Christians, which I was told on my recent visit to the capital, Ulan Bator, had reached some 60,000. This is about 5% of the total population of just over 3 million. Every Mongolian Christian I spoke to had come to faith after 1992, and many of the churches do not affiliate themselves to any historical denomination. A number of churches worship in a traditional Mongolian dwelling called a ger – the round tent-like structure known in the West by its Russian word, yurt. But even in the ger, technology helps spread the biblical message! In one ger church I saw how a video camera was used to provide those who were unable to attend the service with a video feed via the internet. The Mongolian Union Bible Society seeks to serve the growing Christian population, not only in the capital but thought out the vast country of Mongolia. Its territory is larger than France, Germany, UK and Italy put together, but with such a small population, it is the most sparsely populated country in the world. Both the churches and the Bible Society are planning a presence in more outlying towns and settlements. Mongolia's traditional religions are Buddhism and Shamanism, and these are also growing, along with the Muslim presence in the country. The Bible Society believes that a new translation in modern Mongolian will be a powerful tool for the local church to get the Christian message out to the Mongolian people. Mongolia's new-found national identity is closely linked with Genghis Kahn. The main square in the capital is named Chinggis Khaan, using the Mongolian spelling of the 12th century ruler's name. And the same name appears everywhere, from the renamed airport, to beer and vodka, street names and hotels. On an otherwise empty plateau an hour's drive from Ulan Bator you find a massive 40 metre tall stainless steel statue of Genghis Kahn. It is part of a Ghengis Khan visitor attraction, which includes a museum. In there I found a small, decorated Nestorian cross from the 13th Century – evidence of the Nestorian Christian presence at the time of Genghis. History tells us that one of Genghis' wives was a Nestorian Christian and that Genghis, in spite of his gruesome treatment of his enemies while at war, was tolerant towards all religions. The tall structure shows the leader on his horse, and with an angry expression on his face. May his descendants today find joy in the Christian message .. and smile! April 28 (Get Reading) The phrases 'Nissan Micra' and '10,000 mile trans-continental road trip' are not often associated together, however this has not deterred one pair of young men. Childhood friends Elliot Blackwood, 20, from Calcot and Scott Walker, 24, from Marcham, will set off from their homes as part of the annual Mongol Rally. Their six week adventure will take them through Europe, Turkey, Turkmenistan and Mongolia, eventually ending up in the Russian town of Ulan Ude. Thousands of competitors take part each year, though Elliot said: "It's not really about winning or losing, it's all about the experience, and travelling halfway across the world in the worst car around." According to the official rules all four wheeled vehicles "must be crap and have an engine no bigger than a litre of yak's milk. That's 1000cc in layman's terms." Elliot and Scott picked up a Nissan Micra from East London and have since been modifying it. They made a few cosmetic changes and installed a sump guard to protect the underneath of their engine from rocks flying into it, whilst they drive along the rough terrain. Calling themselves team Skidelot, the duo are also raising money for Helen and Douglas House, an Oxford based charity who have a fundraising shop in Reading. They provide specialised care for life-limited children and young adults, and offer bereavement services to families. The pair have already smashed their original £1,500 target thanks to generous donations from local businesses. Advanced Engineering Ltd, based in Basingstoke, donated £1,000 to the cause, and the Cycle Centre donated £250. They are very excited about their adventure. Elliot said: "This is our last chance to do something this big before we have to get jobs. "We're buzzing for it to begin." Visit here to donate to Elliot and Scott's cause, and here for updates on their progress. April 27 (Cambridge News) An adventurer from Cambridge is saddling up for the trip of a lifetime as he prepares to ride more than 1,000 miles solo across the eastern steppe of Mongolia. Jack Toulson, 32, will embark on the 1,200-mile expedition between July 1 and October 5 and is now making his final preparations ahead of his departure. The health worker explained he has always been interested in exploring but that it only around a year ago when he finally decided to take on the ride. He said: "Years ago when I had horses I dreamt of doing a long ride – the idea took route but then disappeared as life took over. "But I found as you get older you revisit these things and I thought now I could do it." And despite its harsh terrain and highly changeable weather, Mongolia was an obvious choice he explained. "There entire culture is based around horses," he continued. "It's one of the few places in the world where horse culture is still evident." The former University of East Anglia student has been helped in his preparations by The Long Riders' Guild, an invitation-only group holding the title of being the world's first international association of equestrian explorers. The organisation was formed in was formed in 1994 to represent people who have ridden more than 1,000 continuous miles on a single equestrian journey. And Jack is also hoping to use the trip to raise awareness of Cambridge Cambridge Mongolian Development Appeal (CAMDA), a local charity established in 2000 which offers support to Mongolian herdsmen. He added: "I felt it was a great cause for me to give something back to the people who would be directly responsible for the success of the expedition. "You can't do it unsupported – the support you are getting is from the local population. The area is so barren that to try and do it on your own isn't possible." To sponsor Jack, visit justgiving.com/MongolianLongride. April 24 (Surrey Comet) Three lads are preparing to drive more than 13,000 miles to Mongolia and back again for a charitable adventure. The idea came to Ed Vos, from Stoke d'Abernon, Sam Crooks and David Shine, originally from Hinchley Wood, to get involved in the Mongol Rally, after chatting to participants in the eurotunnel almost six years ago. The car which will take them on the journey in July is a 30-year-old Volkswagen. They will travel from London, across Europe to Istanbul, across Iran and Turkmenistan, Uzbekistan, Tajikistan and Kyrgyzstan, before heading across the Kazakh desert and the Mongolian Steppe to Ulaanbaatar in Mongolia, and then back to London via Russia and northern Europe. Mr Vos said: "It will undoubtedly be an amazing trip, and we have the added benefit of raising money for two worthy charities at the same time." The group aims to raise £1,000, with half going to Cool Earth and the other going to the London Air Ambulance. To sponsor the intrepid trio, visit justgiving.com/teams/mongmadness.